Many elements can change a sky line. Manhattan knows how sky lines can change. “The One World Trade Center is a growing presence and a Changed One” according to the New York Times. But, there are other lines which change the sky and make it more beautiful. Especially when unexpected visitors out of Central Parks hidden Shakespeare Garden like to join the view. 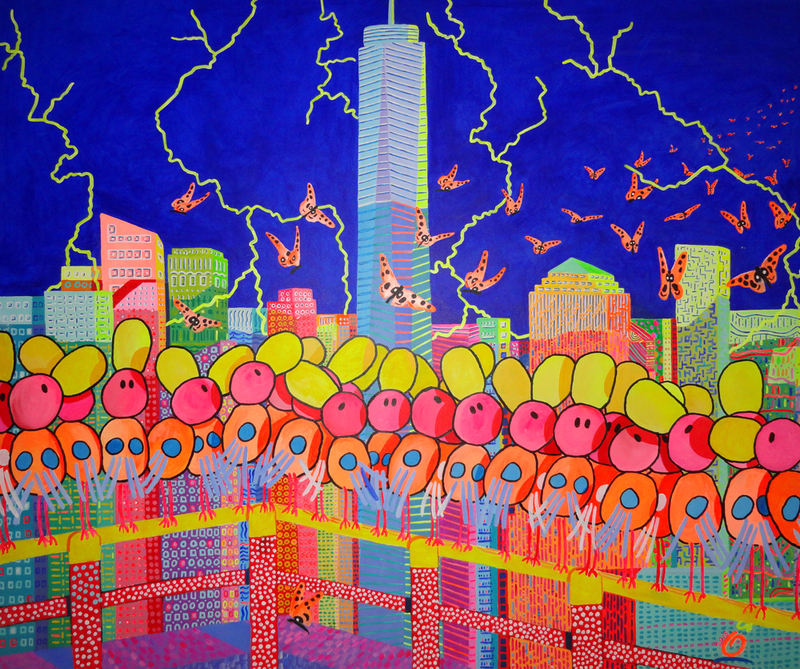 I brought it all together in this bright painting "Manhattan changing skylines"